The present moment is so important because time is an illusion. I know, your about to bail only a few sentences into this post. Stick with me for a bit longer. I wrote another version of this post that read more like a research paper. I packed it with logic and quotes from a list of well known spiritual leaders and physicists alike. They all maintain that time is an illusion. Yet, after spending many hours over many days I decided to trash it. I trashed it because it was too complicated; too complicated to write and too complicated to read. Does anything ever happen when it isn’t now? Have you ever done anything in the future? No, No, No. This present moment is so important because it is all that we ever have. Everything that we do and experience happens NOW. Its quite simple to see the importance, but oh so complicated to be present in the current moment. We have a constant mental chatter going on that has us almost always focused on the past or the future. The past is a set of memories – moments that have passed. Can we alter what has already happened? No. Thinking about the past creates various emotions. Sometimes our memories are of joyous moments. Yet, the past can also create regret, loneliness, and anger. Can you hear the internal self-talk about your past? Why did she say that to me? Why did I not take that opportunity when I had it? Why did I not tell him how I felt before it was too late? All the while, we are missing the magic of the current moment. We miss the beautiful blue bird singing on the branch outside the window. We miss the warm beam of sunlight shooting through the puffy white clouds. We miss the shooting star streaking across the speckled night sky. The future consists of stories created by our mind. They are stories of how a future moment might be. How often does it happen exactly like our mental story? Rarely. Thinking about the future also creates various emotions. Sometimes our thoughts are of how things will go right. Yet, the mental stories of our future can also create fear, anxiety, and despair. Can you see the stories that your mind creates? What if someone tries to hurt me? What if I get attacked by a bear? What if I don’t do well on the presentation tomorrow? All the while, we are missing the magic of the current moment. We miss our sweet baby girl sleeping peacefully. We miss the butterfly fluttering on the fragrant rose bush. We miss the warm smile from a friend. Even pleasant memories and positive stories can steal us away from the current moment. They can make us miss the now. It’s ok to spend a little time reflecting on the past so that we can learn from it. It’s ok to spend a little time in the future so that we can plan for practical reasons. However, be careful of spending too much time on either side of now because they are illusions of our mind. Don’t miss now, the only moment you ever have. What will you do to spend more time in the current moment? “ The Power of Now Quotes by Eckhart Tolle .” Goodreads. Accessed February 4, 2017. https://www.goodreads.com/work/quotes/840520-the-power-of-now. 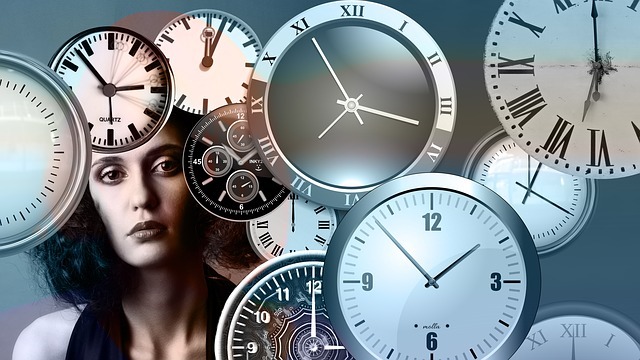 “Free Image on Pixabay – Time, Clock, Head, Woman, Face.” Pixabay. Accessed February 4, 2017. https://pixabay.com/en/time-clock-head-woman-face-view-1739629/. ← Wilderness Adventure: Am I Fit Enough?